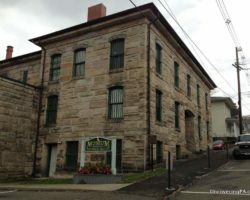 When you think of museums in Scranton, it’s likely that the city’s great transportation and coal mining history are what first come to mind. However, sitting in a corner of Scranton’s Nay Aug Park is one of eastern Pennsylvania’s most underrated museums: The Everhart Museum. 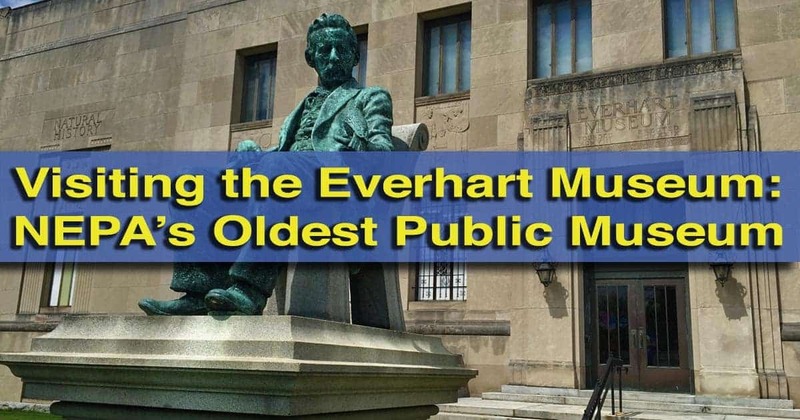 Founded in 1908 by Dr. Isaiah Fawkes Everhart, a local physician who also happened to be a talented taxidermist, the Everhart Museum was the first public museum in Northeastern Pennsylvania. The original goal of the museum was to document the various birds and animals that inhabited the region. 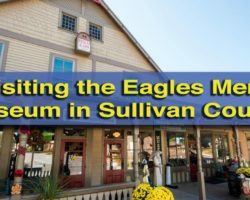 And, while the museum has expanded well beyond this original goal, it is still home to more than 2,500 taxidermied birds, many of which were donated to the museum by Everhart. 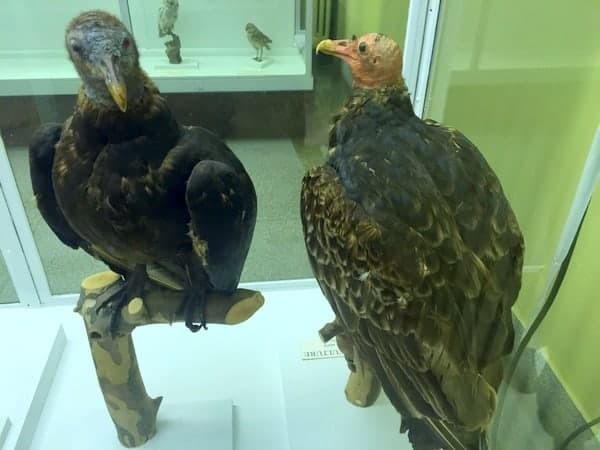 Two of the many taxidermied birds on display at the Everhart Museum. Today, the Everhart Museum features an impressive collection of artistic works, with a special focus on American Folk Art, a collection of ethnographic pieces from a variety of world cultures, and a natural history wing. The first floor is primarily occupied by the museum’s natural history collection, the majority of which is Everhart’s very well-preserved bird collection. There are also several dinosaur fossils, including a nearly complete stegosaurus. While I was slightly disappointed to learn that these fossils were all casts, and not the original fossils, it was still very interesting to get a close look at these dinosaur relics. 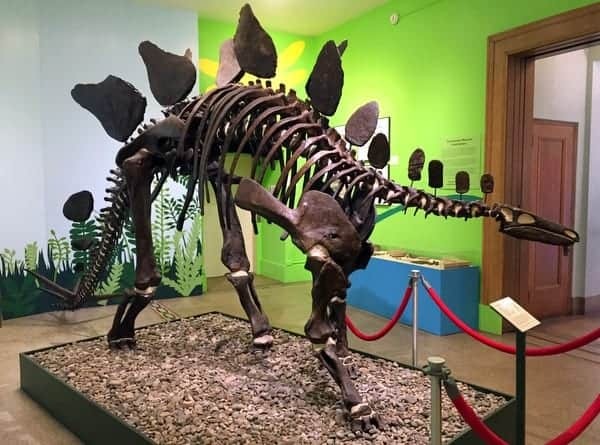 A giant stegosaurus fossil cast on display at the museum. The first floor also includes one of the museum’s three temporary exhibition areas. These exhibitions range from local and international culture to art, and change throughout the year. A list of current and upcoming exhibitions can be found on the Everhart Museum’s website. The museum’s second floor features their art and ethnographic collections. The museum’s largest room is located at the top of the stairs and features the majority of their displayed art. 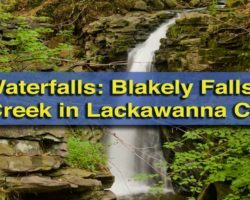 Pieces here are from both local artists and internationally-known artists, with a focus on American Folk Art. The museum is also home to the largest public collection of paintings by John Willard Raught, a local painter from the early 20th century. 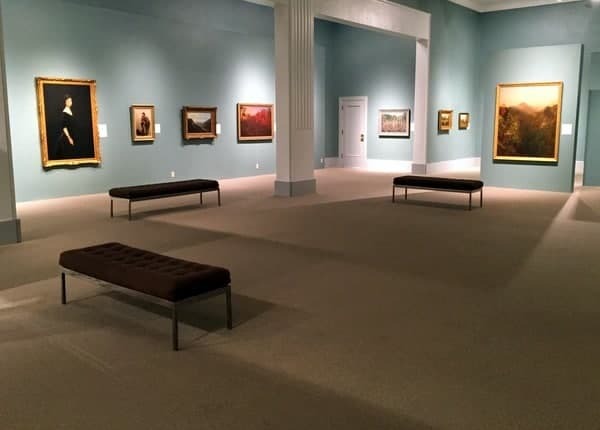 The Everhart Museum’s art gallery. While many of the museum’s artistic pieces are paintings, drawings, or photographs, there is also a nice collection of Dorflinger Glass, which was made in nearby Wayne County, Pennsylvania. This glass was made from 1852-1921 and their cut glass and stemware was sought after by both American presidents and European royalty. The second area of the museum’s top floor features their ethnographic collection. There are two rooms that display pieces of art from around the world. 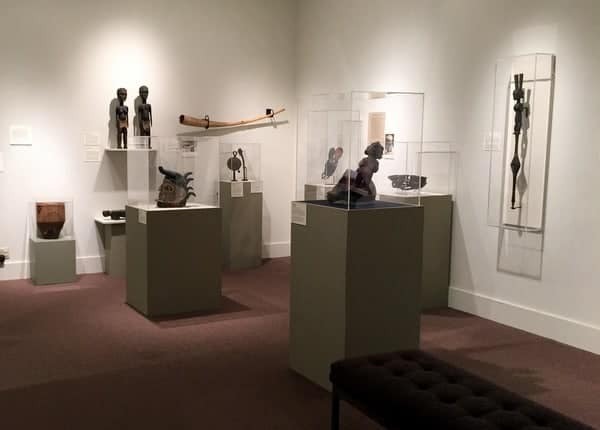 One room focuses on African art, with traditional art pieces alongside religious items and musical instruments. The second room contains items from a variety of cultures. Some of the notable items on display during my visit were mummified Egyptian animals, Roman sculptures, and Native American art pieces. A small part of the museum’s African artifact collection. Overall, I was very impressed how well the museum was able to combine all three subject matters into a relatively small space. The museum’s size makes it easy to see everything, without feeling overwhelmed, but still offers enough to necessitate an hour or two of visitation time. 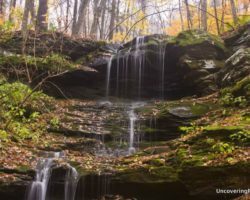 Even better, it’s location in Nay Aug Park make this a perfect way to spend half a day, leaving the rest of the day to explore the beautiful hiking trails of Nay Aug Gorge and Nay Aug Falls. 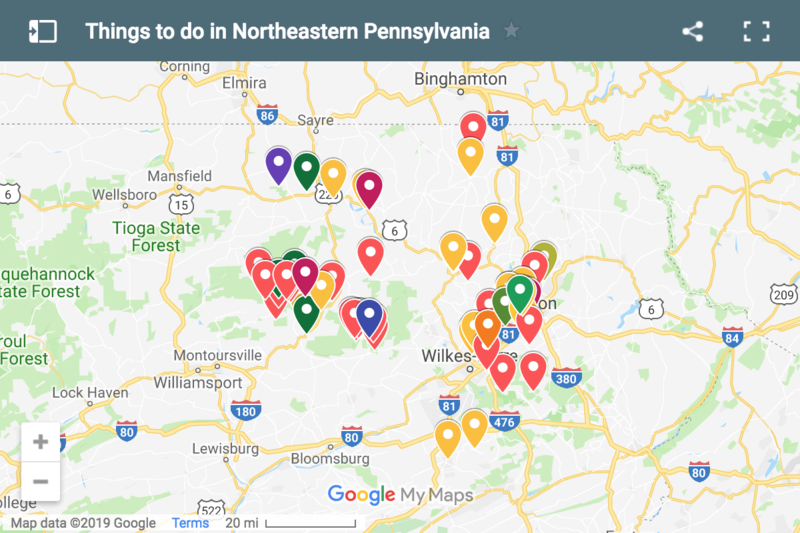 Consider this museum a must-visit destination for any museum lover visiting Scranton, Pennsylvania. Note: My visit to the Everhart Museum was hosted by the museum. However, the opinions expressed are my own.